Have you checked your Spiritual Vision lately? Are you striving to see clearly what God wants you to do? Have you looked beyond your ways and point of view to embrace His? Spiritual insight can become truly hazy at times, as we focus in on our own selfish desires, or our hold on self serving wants, needs, goals or interests. 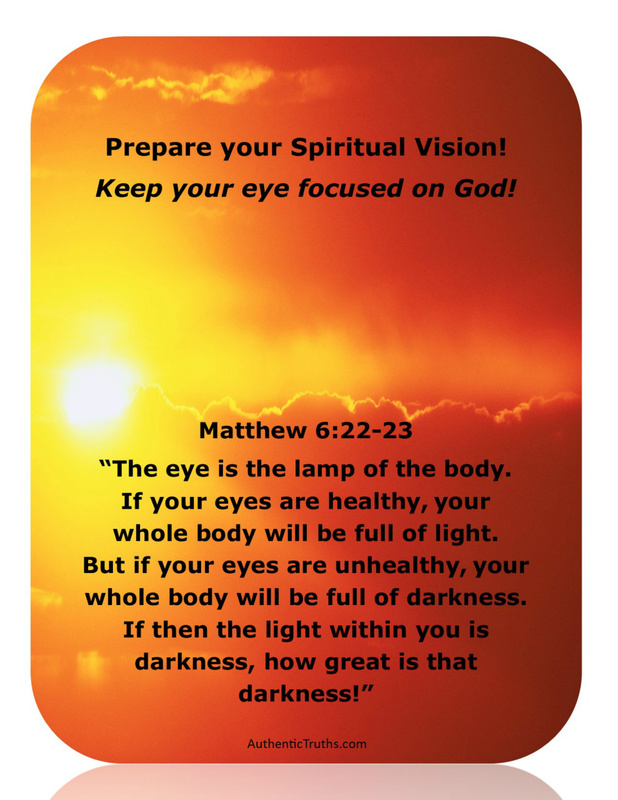 How can our Spiritual Vision be restored and exercised? By staying focused on God- keeping that eye fixed on Him and His desires for your life!